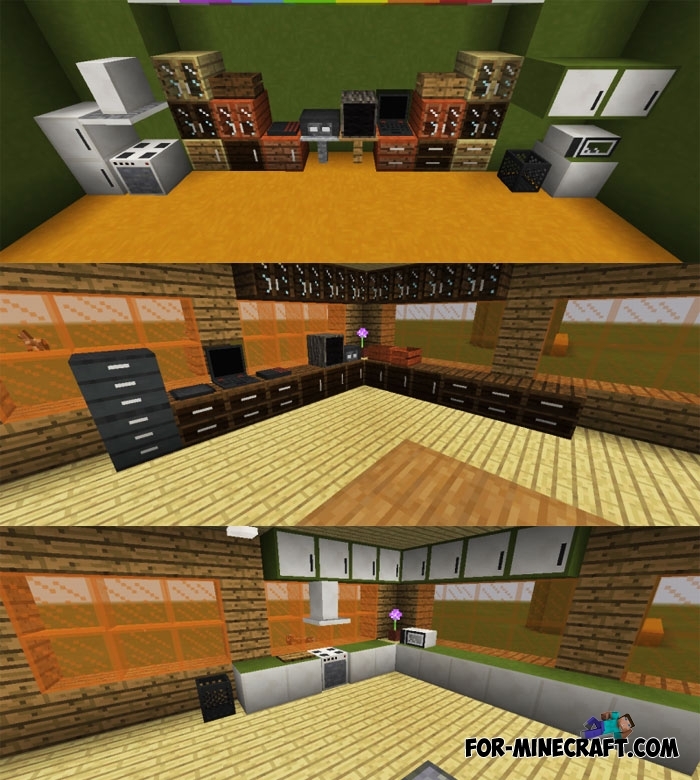 Decorative mod adds 34 furniture and 16 colored glass blocks for decorating your house. The computer, trash, stereos and bell have their own unique sounds! 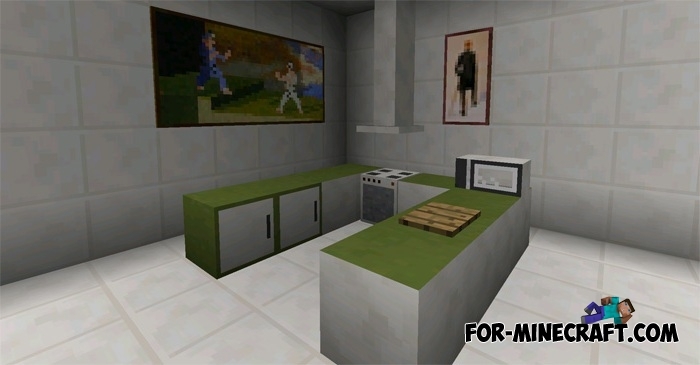 By installing this mod you can decorate absolutely any room as you want. Every object has a crafting recipe, and it's great for the survival mode. The Pocket Decoration is one of the best of its category and it will transform your hut in a real comfortable home. The next update should contain new sounds and maybe some new items, wait. Read the details below and be sure to download the mod for your version of the game. Support for MCPE 1.1. Do not forget that you will need BL to install it. The new thing is a blender. Some items have been deleted, new ones will be added in future updates. Install this update if youre using the latest version of the game. New furniture and objects: several types of cabinets, mirror, reading lamps, gifts and more. Support for MCPE 0.16.0/0.16.1. Use the latest version of the Block Launcher (download) to install the mod. Some fixes including the correct position. Added the modem and the coin. Improved texture of some items and fixed bugs. Support for Minecraft PE 0.14.0. Added file cabinet and mouse pad. Christmas tree has been removed. How to get these blocks? Firstly, you can enter the command: / furnitures, if you are in survival mode. The blocks are located in one of the tabs of inventory (creative mode). 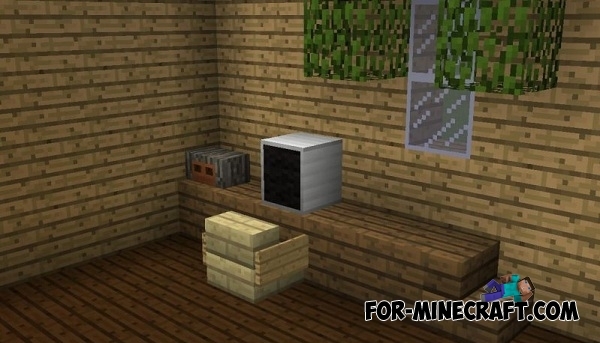 Also you can to craft the furniture in survival (recipe list is below). The computer and stereo system have their own sounds. Just click on them. If you break the gifts from them will drops randomly item. Connect to TV the button or lever to turn it on. 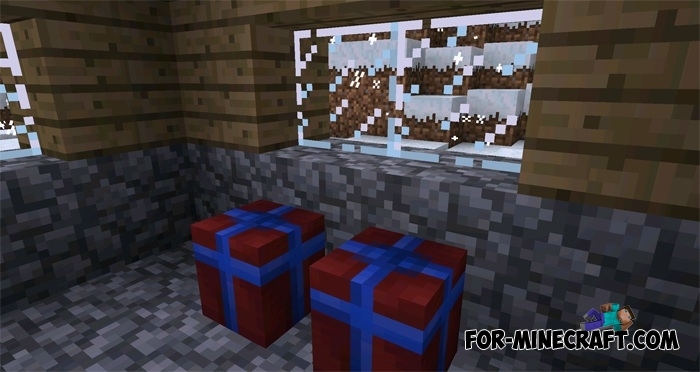 Christmas Gifts mod for MCPE 0.13.0Christmas Day is now in Minecraft Pocket Edition! This mod adds three kinds of gifts that you can get and open. Gifts can contain a variety of useful things.